Lynn Anderson, the singer of 12 country music #1’s, and known as the “Great Lady of Country Music,” has passed away according to reports. She died Thursday night (7-30) of a heart attack at Vanderbilt University Medical Center in Nashville. Anderson was 67-years-old. Lynn Rene Anderson, born September 26, 1947 in Grand Forks, North Dakota, was known best for her country music mega-hit “(I Never Promised You a) Rose Garden,” but put together one of the most successful careers for a female country singer across multiple decades of singing and performing. Lynn won the Academy of Country Music’s Top Female Vocalist of the Year award in 1967 and 1970, the Country Music Association’s Female Vocalist of the Year in 1971, won a Grammy Award in 1971 for Best Vocal Performance, and was named one of Billboard’s Artists of the Decade in 1980. She was also the first female artist to win an American Music Award. Anderson performed on over 40 albums over her career which resulted in over 50 Top 40 hits. Beyond the chart hits and awards, she also helped break down barriers for female country artists. “(I Never Promised You a) Rose Garden” was a huge crossover success, and in 1974 Lynn was the first country female to sell out Madison Square Garden. The daughter of two songwriters, Lynn showed interest in country music at an early age, and released her debut album Ride, Ride, Ride in 1966 at the age of 19. 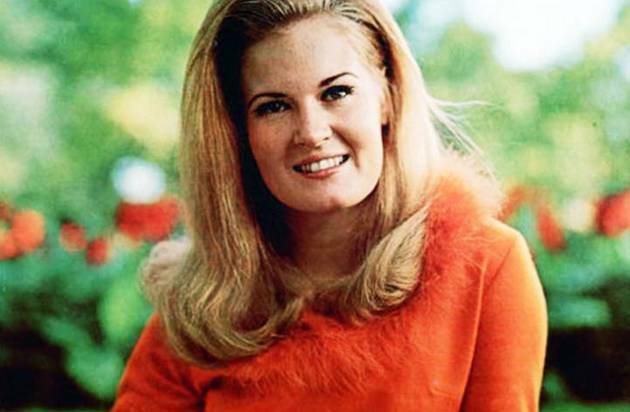 Songs such as “If I Kiss You (Will You Go Away),” “Promises, Promises,” “You’re My Man” and “How Can I Unlove You” became huge country hits, and Lynn Anderson became of of the best-known female country singers of her generation. Though the hits began to slow down for Lynn Anderson later in life, she never did, continuing to perform and make appearances as a country music legend. Though she was never inducted into the Country Music Hall of Fame, her name always seemed to be in the mix when the finalists were being considered. Lynn Anderson had another passion as well: horses and equestrian life. She began her signing career in and around the horse shows of California and was known early in her career as the “California Horse Show Queen.” Anderson won 16 national championships, 8 world championships, and other awards and distinctions throughout the equestrian world, and raised horses on her ranch in New Mexico. Lynn never stopped performing and recording, and had just released a gospel album called Bridges on June 9th. A woman who open door for many women in country music, Lynn’s passing reminds us how important female voices have been to the success of country music. Really sad she could not get into the Hall of Fame before her passing. And now because of the Hall of Fame’s rules, she won’t be eligible next year because she has passed. This is the problem with the super restrictive classes they have gone with. They dodged it with Jim Ed Brown (at least he knew he made it before he passed) but this is going to happen more and more if they stay with this policy. If your commercial career has been over for decades then the idea of a waiting line, so to speak, is just wrong. Wow I am sad to hear about that I am totally shocked. My parents loved Lynn Anderson. Have many memories of family vacations listening to Lynn Anderson and Charlie Rich 8 tracks while driving. “Rose Garden” is one of the earliest songs I can remember hearing as a young child. Rest in peace, Lynn. Yeah, mine too. It was actually my favourite song when I was growing up. Damn shame. Apparently she still did shows from time to time, and I would occasionally check out her website hoping there’d be a date listed in my area. She just released a new record of gospel material a month or so ago, with a cover of Drift Away re-written as a gospel song that was getting some praise. Who’s gonna fill her shoes? I hear a lot of her sound in some great new artists these days. Cool lady, great songs. How can I unlove you. RIP Lynn. “Rose Garden” was all over the AM radio when I was 12 years old and growing up in New Jersey. It’s one of the earlier records that told me it ws okay to like country music. It also led me to eventually probing more deeply into the music of Joe South, a favorite songwriter of mine. I was a couple of years younger and growing up just north of New Jersey in Rockland County, NY. It’s one of the first songs I remember hearing regularly when I started listening to the radio. Didn’t know at the time that she was a country singer or that it was considered a country song. They were playing it on the top 40 station regularly (WABC 770 AM), after all. Sad news, great voice. Am I wrong or was she at one time on the Lawrence Welk show? Yes in the late sixties for a couple of years I think. I have all her records and i love singing her songs she came to a fair in my area at the hartford fair in P.A.and i did get to talk to her and i told her how much i loved her music.May you RIP you will be missed. People frequently criticize Pop-Country but “Rose Garden” is a great song. It may be the best Pop-Country ever IMO. I had the pleasure of meeting her one morning when I worked at the ET Record Shop. She came in about and hour or so early for an interview with WSM. We weren’t even open yet and were still drinking coffee and cranky, but she was an absolute pistol and so full of energy, it pepped us all up. She was firing off jokes like a machine gun and about the sweetest person you could ever meet. RIP Lynn Anderson. You’ll be missed. Truly sad. May she rest in peace. What an awful couple of months it has been for country music. Just one tragedy after another. May August bring better fortune for the country music community. Her along with Bobbie Gentry were always 2 of my favorites from the 60s ear that all my friends and fans of traditional country seemed to not know about. And Jean Shepherd. Really loved “Gone Gone Gone” fun song. With BB King gone and her and many other the band of heaven just gets better. My 11-year old daughter loves “Rose Garden.” Southern Culture on the Skids does a nice cover. If only to add to everyone’s store of knowledge, “Rose Garden” peaked at #3 on the Hot 100 in February 1971, which meant that, on AM Top 40 pop radio, it wouldn’t have been such a shock to hear Lynn’s classic single played alongside the following: “My Sweet Lord” (George Harrison), “Your Song” (Elton John); and “The Immigrant Song” (Led Zeppelin).